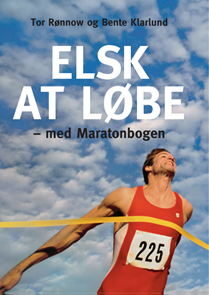 Tor Rønnow had the pleasure of co-authoring the book “ELSK AT LØBE – med Maratonbogen” with the renowed Professor Bente Klarlund Pedersen, one of the world leading scientists within the area of physical health and activity. The book was a bestseller in Denmark with 7000 sold copies. It can be bought second hand online (eg. http://www.dba.dk) or loaned on a public library.